Ready. Set. GO! 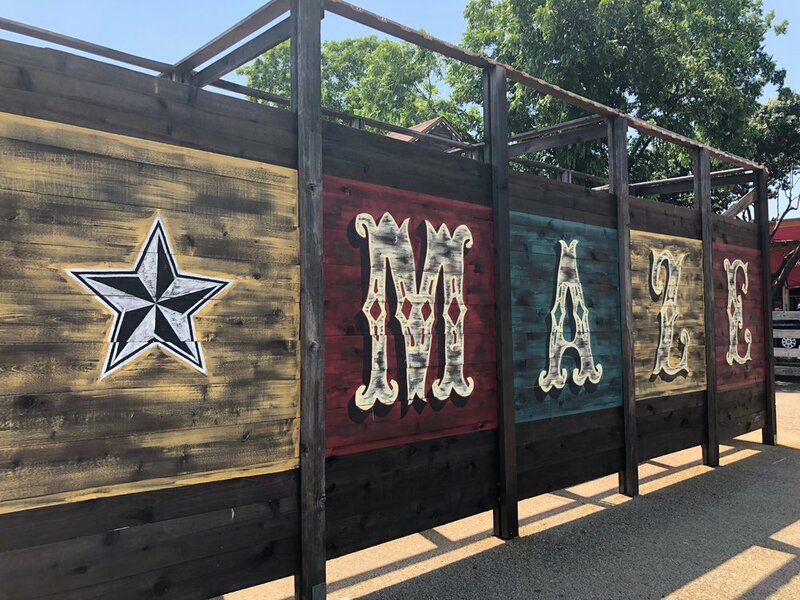 Head on over to experience the Cowtown Cattlepen Maze in the historic Fort Worth Stockyards. Bring the whole family and race against the clock to see who can escape the Maze in record time. Enjoy 1/2 price admission every Tuesday, 10 AM - 7 PM this summer and pay just $3 per person! show this offer on your phone to the Maze attendant in order to receive the discount on Tuesdays only. Half Price Admission applies to Tuesdays only unless otherwise specified. Fort Worth is where the West begins, and nothing embodies Western heritage better than the Fort Worth Stockyards National Historic District. From the original brick walkways to the wooden corrals, every inch of the Stockyards tells the true history of Texas’s famous livestock industry. © 2018 Majestic Realty / Hickman companies development. All Rights Reserved.